After reports of Sinestro's return begin to spread, Hal Jordan travels to Earth, looking to bring in his onetime Green Lantern partner. 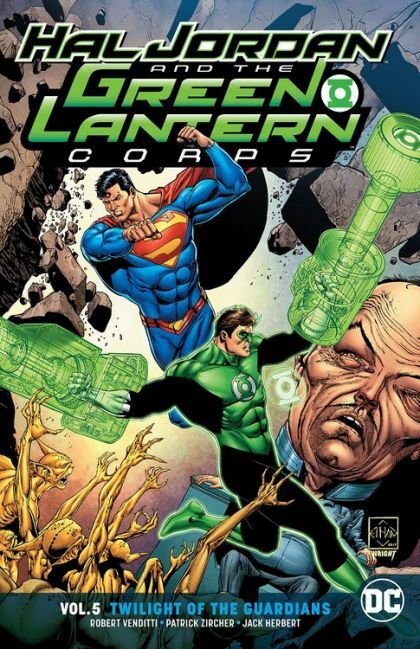 But a manhunt turns into a fight for his life when Hal must face the unmatchable power of the Man of Steel. HAL JORDAN AND THE GREEN LANTERN CORPS VOL. 5 dives even further into the Green Lantern mythos! Collects issues #30-31 and #33-36.